– There are around 640 million credit cards circulated across the United States right now. – The Federal Reserve estimates that these cards carry a total balance of between $750 and $800 Billion. 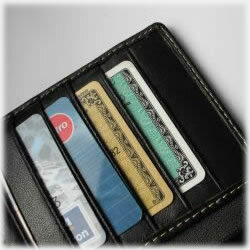 – 14% of Americans hold more than 10 total credit cards. This includes national banks and small department store cards as well. – The average American has at least four cards in their name. – The total starting available between these four cards, then, averages out to be around $19,000. – 40% of credit holders have balances that are less than $1,000. – Fees have more than doubled in the past ten years and as such, credit card companies make around $50 billion a year in fee income alone. This includes late payment, over limit, balance transfers, and other maintenance fees. – Bank of America is the largest national credit card issuer, with $166 billion coming in annually, second is Chase, and then CitiBank. – About one-third of Americans pay their cards off in full every month. – At least 60% of these cards offer some kind of rewards program, which seems to be growing every year. American consumers are getting smarter, at least in regards to their demands. Whether or not US citizens are managing their credit properly is another question, especially in light of the financial and housing crisis facing many people who got into a home when they couldn’t afford it. While it is true that much of this is due to government regulation, it was still not necessarily wise. Regardless, Americans seem to truly know what they want in their credit cards, and apparently a fair amount of US consumers are using their credit very responsibly. These two statistics demonstrate a solid understanding of how to properly use credit cards by taking advantage of the benefits they provide without over extending yourself. If you apply for a card with a rewards program, then you can capitalize on them for spending the same money you were already spending. For instance, many of the programs offered by Discover card provide cash back options on a rotating catalog of products and services. This month it could be dining and entertainment. If you are planning a getaway for your spouse, this might be the month to do it because you can charge the whole weekend to your Discover card and then get up to five times the cash back bonus on money you were going to spend anyway. Furthermore, there are many cards that offer up to five times the cash back rewards on things you buy every single day. Many cards, at least presently, offer rewards for using the card to purchase gas and groceries. Apparently their marketing campaign follows the idea: fuel your body, fuel your car, fuel your wallet. This is very attractive, especially to people who are finding it more and more difficult to simply put food on the table. With a credit card that offers you cash to buy groceries, you might find a few extra bucks here and there to buy the food your family needs, and then you can reap the rewards later. How this helps you is by taking a look at the second important statistic. If you pay your balance off in full every month, you will never have to worry about interest rates, even if your interest rate is extremely high. If your credit score isn’t the greatest, and most peoples’ aren’t, you can still find a card with a high interest rate but offers incredible rewards. Capital One is known for offering packages like this that are designed for people who make less or have a less-than-perfect credit score. They design unique incentive programs that can get you some pretty amazing rewards. In order to properly take advantage of these programs, though, you need to know what your budget is every month and then do your best to stay within the budget. The only difference is that you spend what you are allowed to spend, except instead of paying with cash or check, you use your rewards credit card. At the end of the month, take your allotted amount and apply it to your credit card payment. Before long, you will notice some rebate checks or rewards offers coming your way and the discipline will have paid off.